AOT provides recovery-oriented, evidence-based Assertive Community Treatment (ACT) services to 57 adults with serious mental illness. Members may also have a secondary co-existing drug and alcohol diagnosis. 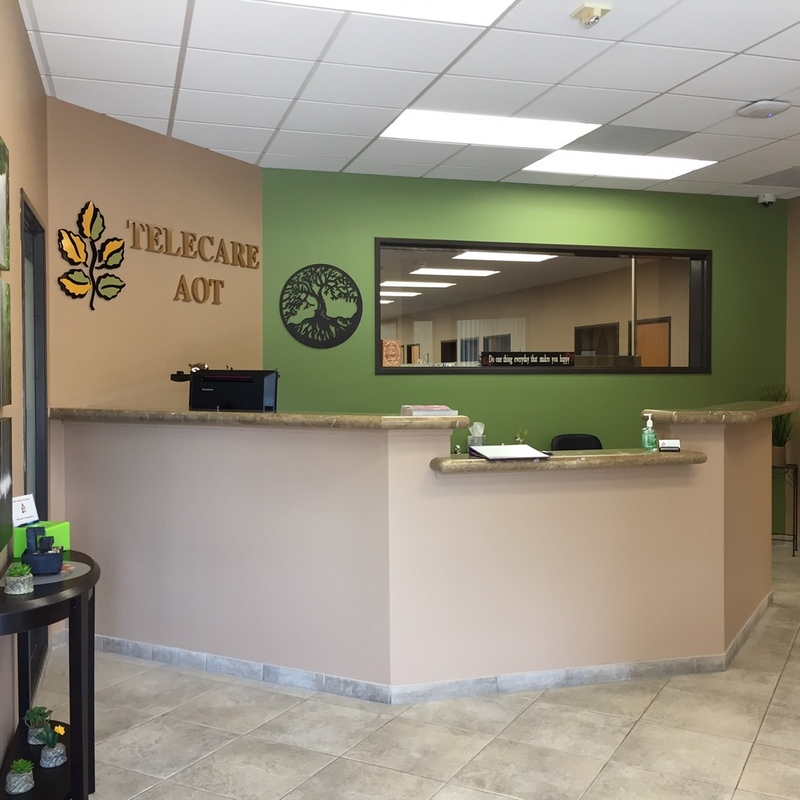 Treatment is provided by a multidisciplinary team including team leads, peer specialists, nurses, prescribers, vocational specialists, family liaisons, case managers, and alcohol drug specialists. All services are recovery-focused, strengths-based, and anchored in biopsychosocial rehabilitation and recovery principles. These services have on-call staff available 24/7. Field-based services are delivered in the community where members live and work. Population Served: Adults ages 18 and older who have been diagnosed with a serious mental illness. Our program is based on the Assertive Community Treatment (ACT) model, where we connect you to the proper resources that can help you achieve your goals. We will work together with your family, friends, and the court system to help you take steps towards making recovery happen. Office hours are Monday–Friday 8:00 a.m. to 5:00 p.m.
Drop-in Center is open Monday–Friday 9:30 a.m. to 4:00 p.m. The County of San Diego has determined that all persons referred to the Telecare AOT program shall initially be screened and evaluated by the existing In Home Outreach Team (IHOT) program. All referrals must be made by directly contacting the In Home Outreach Team (IHOT) and callers should clearly identify that they are making an AOT referral. The IHOT program's clinician will assess and determine if the participant is a candidate for AOT. Have a serious mental illness. Determined unlikely to be safe in the community without supervision. History of non-compliance with treatment that has either: Been a factor in their hospitalization and/or incarceration at least twice in the last 36 months, or resulted in one or more acts, attempts or threats of serious and violent behavior toward self or another within the last 48 months (not including current event). Has opportunity to voluntarily participate in mental health treatment but continues to fail to engage. AOT is the least restrictive placement necessary to ensure recovery and stability. Needs AOT to prevent a relapse or deterioration that would likely result in grave disability or serious harm to self or others.